Here we go! Filled with excitement to see the Royal Pavilion in the cave, we all couldn't imagine what the journey would be. We started off from the beach to take a boat to take us to the foot of the mountain where Phraya Nakhon Cave is. I was asked by my colleagues if my two kids were sure they could make it to the top of the mountain where the famous Royal Pavilion in the cave is. Tham Phraya Nakhon is a cave high up in the mountains of Khao Sam Roi Yot National Park in the coastal province of Prachuap Khiri Khan. We were told that to get there is a real test of stamina and surely not for the faint-hearted or they will give up half-way. But my two kids were strongly determined to take the challenge. And so was I! Shame on me if I wasn't!?! This was how we sustained ourselves - rested for a while midways and drank plenty of water. Having a stick helped a lot. My kids told me that in their camping, they've been always instructed to have a stick on mountain climbing. It may ward off snake and help in balancing along the way. My son was the youngest among the mountain climbers. He was only 10 then but he would always assist me especially when the trail was very steep and the rocks were so sharp reminding me to be careful. How lucky I am to have such thoughtful son (and daughter, too)! They're a real help when dad isn't around. How could they thought that mom isn't strong? Well, mountaing-climbing has always been fun for me, they never knew as it's the first time we went mountain-climbing together. Such a sweet assurance to have them though! "Take a deep breath, Mom, and look at the beautiful sight," they would both cheer me up. They were worried about my not yet completely healed surgery then. But I'm always a nature-lover. I would never give up! ﻿What a truly educational trip it was for my kids! They were both giving me lectures on the rock formations they have seen distinguishing stalactites from stalagmites, etc. - things I learned back when I was at their age until college. And finally, here we are beholding the Royal Pavilion with our own eyes! It was built fot the King Rama III to rest during his visits to this cave. It's an hour climb but it's worth the time and effort especially with such a bonding with my kids. My boy could have reached the destination first but he never left me and his sister behind. Such an assurance of loyalty and this great activity proved my kids' values. With kids like them around, I feel no threat of getting old at all. 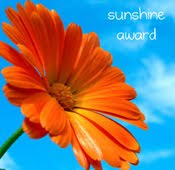 Thanks to Cafeby of My Bangkok through my Eyes for this sunshine award.